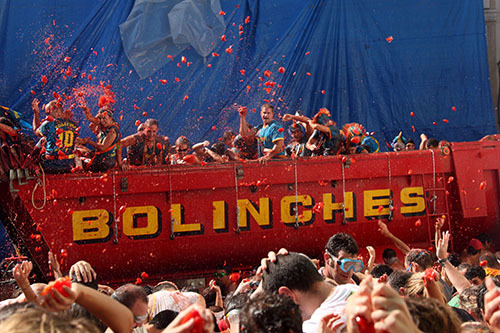 La Tomatina is a long established tradition in Buñol, the first fight taking place in 1944 or 1945. The catalyst for this unusual event is still debated. Some believe it began because of a local food fight between friends, others theorise it was a bad musician who suffered the consequences of his lack of talent by having rotten tomatoes thrown at him! The most widely believed story however is that a group of displeased locals decided to make a stand against the city council men, demonstrating their contempt during a town celebration. 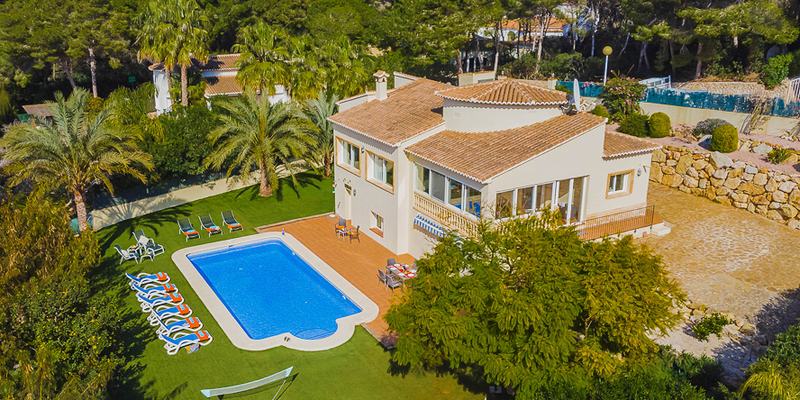 It seems however, that this activity turned out to be so much fun that ever since then the fiesta has taken place year on year. The festival was briefly banned under the ruling of Francisco Franco for its lack of religious significance, but when he was no longer in power it was happily reinstated to the pleasure of those who love to throw tomatoes at each other for no reason, and it grows bigger every year. The festival forms part of the week long revelries in Buñol. 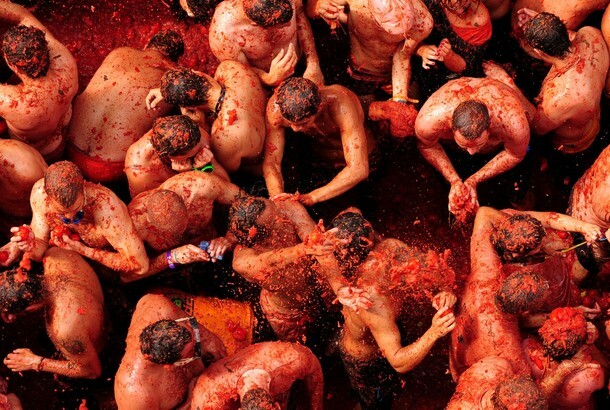 Because of the success of La Tomatina organisers decided to capitalise on its popularity, and so it has blossomed into a full blown fiesta that focuses on a celebration of the towns patron saint San Luis Bertràn, and the Virgin Mary. During the days leading up to this colossal battle, the streets of the 20,000-strong town of Buñol are transformed with parades, street dances, festivals and delicious food stalls. 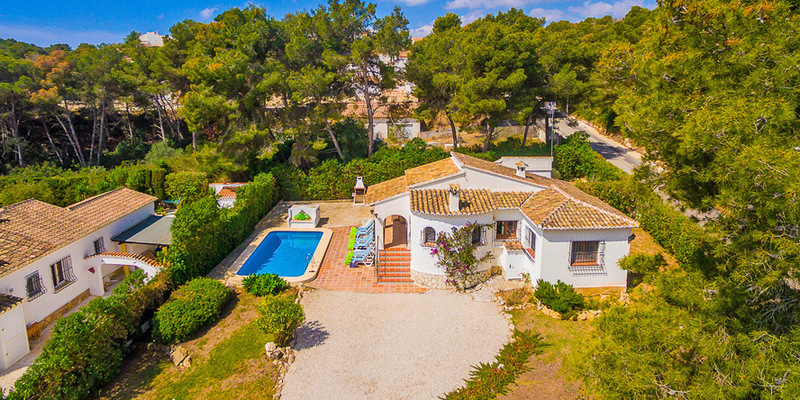 On the evening before La Tomatina takes place you can gather your strength for the fight by sampling locally cooked paella cooked in the traditional style over wood-burning fires. Delicious wines can also be tasted (for Dutch courage of course) and as the anticipation builds so does the food and drink, flowing until the early hours of the morning! On the day of the event participants from all over the world gather throughout the streets and wait eagerly for the fight to start. The battle takes place along the Plaza, shop keepers and business owners sensibly cover windows and doors to protect them from the sea of tomato juice that will soon flow through the streets. Huge trucks then roll in, filled with, yes you guessed it, tomatoes -over 90,000 pounds of them! Once they have arrived the game is on and this charming town erupts into a frantic craze of tomato-hurling. No rules apply, if you are in the streets, expect to get messy! The fight, which is televised by all the most popular channels in Spain, is supposed to commence only when someone retrieves a ham tied to a ten metre high greased pole. However it usually becomes apparent that this task is near impossible and so at 11am the fight begins. It is instigated by the officials from the trucks pelting their cargo onto the crowds below. Most participants wear pure white to really emphasise their battle scars, however many like to dress in costume for the occasion too. A superhero tomato man has been spotted in previous years! The chaos continues for less than an hour when the final claxon sounds and no one is allowed to throw tomatoes any longer. Enemies in battle then quickly become comrades as everyone heads down to the riverbank where the town hosts makeshift showers for the weary warriors to clean up. Some have criticised the festival for the food waste that it encourages and its sheer pointlessness leaves others baffled as to why it has proved so popular over the years. 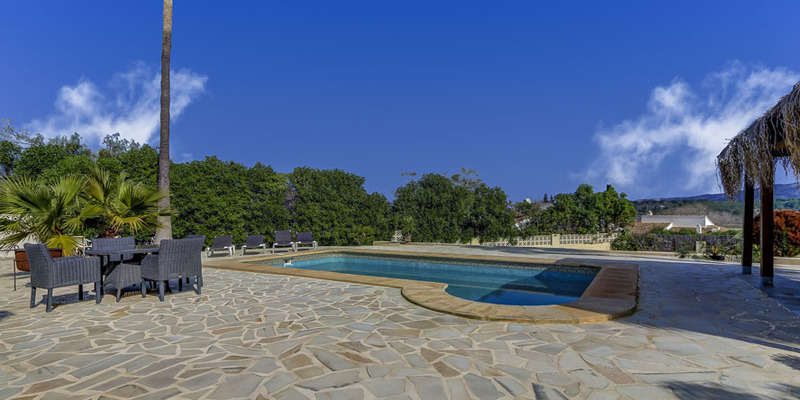 However La Tomitina has now become a legendary festival and is renowned worldwide for its good (if not clean) fun. 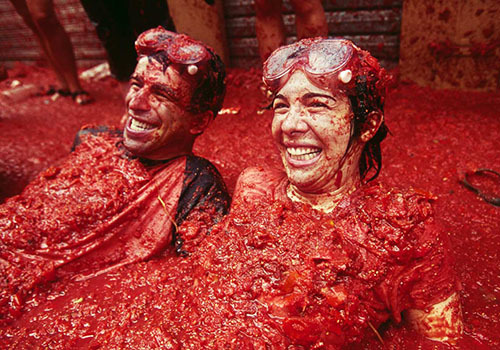 La Tomatina is considered to be the world largest tomato fight. On the last Wednesday of August thousands of revellers gather along the Plaza in the pretty town of Bunol. The eagerly await the truckloads of rotton tomatoes to roll in, a claxon sounds and then the fight commences! There are no rules to this extravaganza and no one really knows how it came about, but this does not seem to matter as La Tomatina is now a long established tradition and attracts up to 20,000 visitors to the region every year.